This Week’s Challenge is to post a photo that captures a fleeting moment on the street – Un Moment Fugace. Here are a few fleeting moments from New York City. 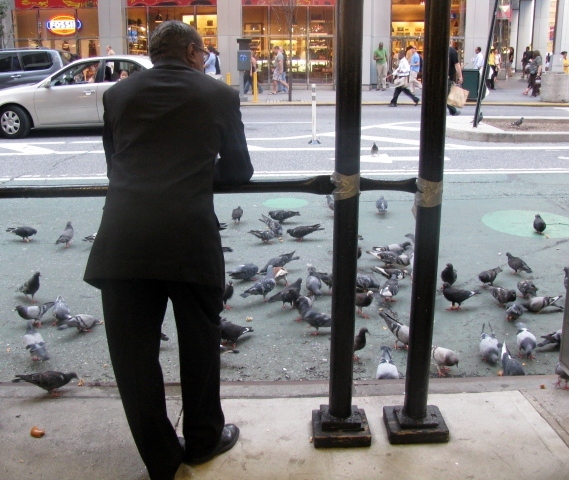 This is a New Yorker who paused to watch the pigeons. A moment after the photo was taken, a bus came by and they flew away. 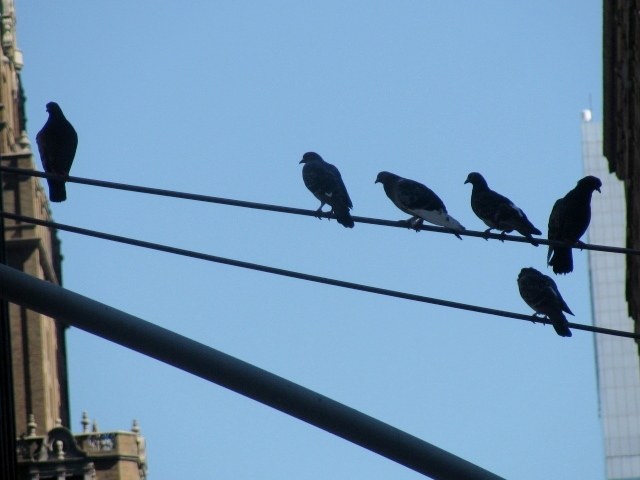 Walking a little further up the street, I noticed these pigeons on a wire. Continuing to look up at them, I almost walked into the side of a cab, the driver honked, and the birds flew away. Fleeting. Heading home. Leaving “the city.” Fleeting and fleeing. The pace here is so fast. Even stuck in traffic, you can feel the heartbeat of the city throbbing around you. 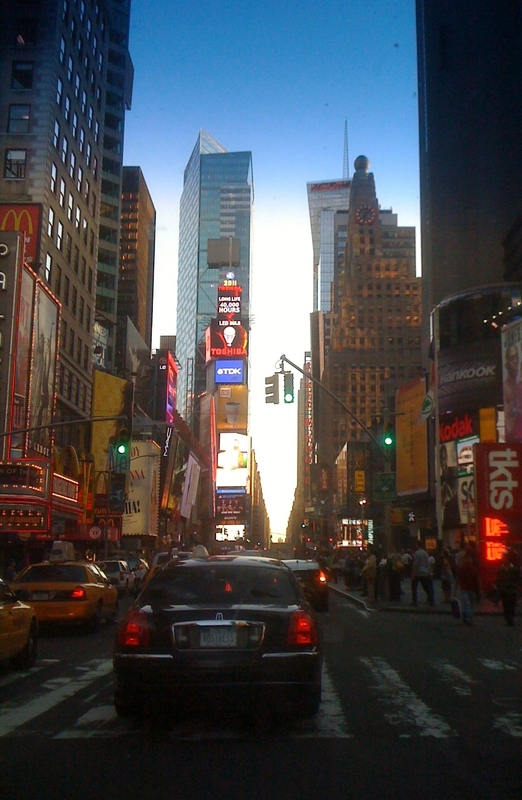 Everything here happens in a New York Minute, a fleeting moment. I wish you a day full of good moments! Je vous souhaite un jour plein de bons moments!